These statistics show that millions of people are putting the financial future of their families at risk, should they lose their job, fall ill or pass away. Not even bad experiences can reverse the underprotection trend with 4/10 families admitting to being seriously affected by illness in the past, but still not having any policies in place. Finally, 5% of people believe policies never pays out and therefore isn’t worth buying, when in fact data shows that 99% of life insurance claims are paid out, with an average sum of £51,000 paid off. In my view life assurance can provide families with financial peace of mind in the unfortunate event of a sudden loss of income and can provide a lump sum cash payment should the insured suffer serious illness or disease. If people are pre-judging what they think it will cost them, they are seriously loosing out on financial peace of mind. The European Court Of Justice will deliver next week its final written judgement in a case which may see the end of gender pricing differentials for life insurance premiums. But we’re not singing with joy. The intial adjudication back in September 2010 confirmed that differential pricing contravenes the fundamental principle of equal treatment on the basis of gender. This shouldn’t come as a surprise, for the ongoing fight against discrimination has been one of the key political and social markers of recent years. But do we really care as much as we say we do? At Moneysworth we are committed to helping people with health issues find life cover. The life cover isnt for them personally, it never is, it’s to protect their families and their children. Many of the people who come to us looking for our help have been previously turned away and rejected. Furthermore, given that most will have to pay higher premiums (discrimination) due to their health, we strive to look for the best available terms, so that they pay the least extra amount possible. Thank goodness, using our specialist knowledge of the insurance market, we are able to obtain cover for the majority of clients who come to us. Indeed it is pretty much the case that if we are unable to find cover, customers are unlikely to find it elsewhere. As our blog develops we hope to provide an insight into our work and some of the many cases that we work on. But today, I would like to pause and spend a brief moment to think about the people that are unable to obtain cover. Insurance companies set premium levels in line with the amount of risk that they perceive to be present. But if the risk is too great they can choose not to offer cover. What then for the families who happen to have a father or a mother with a health condition considered so serious that no insurance company will touch them? Not only do they face the chance of losing a parent at an early age, but also of being left with little or no financial support. So before we start patting ourselves on our backs and congratulating ourselves on our progress in steadily eradicating the curse of discriminition from modern society lets remember just one group who remain firmly on the outside and who remain totally discriminated against. Its not that next weeks ruling isn’t important, its not even that its not fair. Its that a much greater unfairness will remain after next week. As its National Heart Month, I have been researching and sharing top tips for looking after your heart. My top tip today was to give up smoking. Life Assurance; Smokers pay almost double for life assurance! Many ex-smokers are still paying the higher rates as they have neglected to tell their life assurance provider! 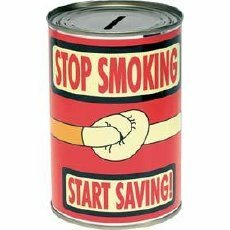 Infact, it has been found to reduce your premiums by around 46% if you give up smoking! If you have given up smoking over 12 months ago, you may now qualify as a non-smoker! Visit www.bhf.org.uk/heart-health/prevention/smoking for more information on tips to help you give up smoking! With Valentines Day on Monday i’m sure most of you out there will be planning romantic gestures to your loved ones… But have you thought about your own heart? Assess your diet – Plenty of fresh fruit and vegetables and reduce your intake of salt and alcohol. Get moving – Physical activity 3x a week can halve your risk of heart disease. Watch your weight – Shedding a couple of lbs can massively reduce your risk. Quit smoking – If you have previously had a heart attack, giving up smoking can reduce your chances of having another attack by 25%! Have regular health checks – Make sure your BMI is at a healthy range, and if not, do something about it! 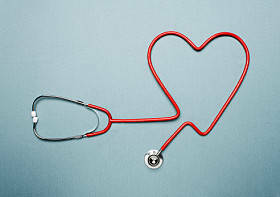 Reduce your blood pressure – Exercising more and reducing calorie and alcohol intake can help lower your blood pressure. Control your cholesterol levels – Cut out trans and saturated fats and eat more oily fish and oats. After reading today that a new study by the World Health Organization (WHO), Harvard and Imperial College London has estimated that half a billion people in the world are classed as obese, having a BMI of 30 or over, it made me think that its really time I started to focus on getting my health in tip-top condition! The rise in obesity over the past 30 years has more than doubled, with the UK having the sixth highest rate in Europe! 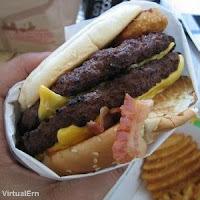 Is it any wonder, with a large proportion of children are eating fast-food on a regular basis and growing up in the front room on games consoles? An interesting and worrying statistic, and it makes me wonder, what will happen if in another 30 years the rise in obesity has doubled again?